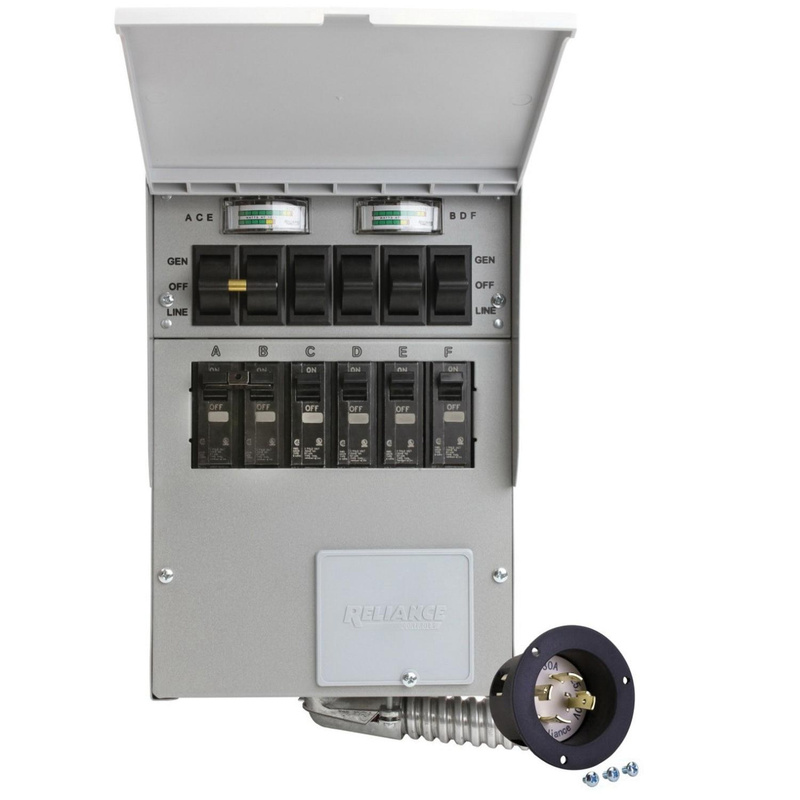 Reliance Controls Pro/Tran® 2 6-Circuit indoor manual transfer switch withstands maximum load capacity of 60-Amps rated at 125-Volt AC and 30-Amps rated at 250-Volt AC. It measures 11.25-Inch x 7.75-Inch x 4.5-Inch. Transfer switch has rugged powder coated steel cabinet with six combination 1/2-Inch and 3/4-Inch knockouts. Color-coded pre-wiring offers fast/easy installation and the wattmeters help balance and manage the generator load.